Books & Boos Press is pleased to reveal the cover of our upcoming release, Triplicity: The Terror Project, Volume 1.The book is a collection of three novellas: “Brando and Bad Choices” by Stacey Longo, “Steel” by Tony Tremblay, and “The Christmas Spirit” by Rob Smales. It is the first installment of a three-book series. 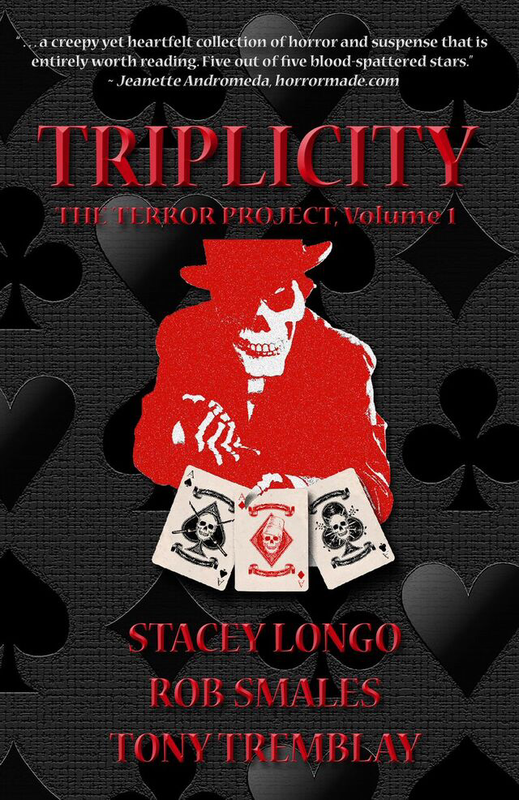 Triplicity: The Terror Project, Volume 1 will be out just in time for the holiday season.